WELL OVER A THIRD of Finnish voters voted in advance of the parliamentary elections held in Finland on Sunday, 14 April. The Ministry of Justice on Wednesday published preliminary data indicating that over 1,535,000 voters – equivalent to 36.1 of all eligible voters – cast their vote during the early voting period between 3 and 9 April. The share represents a healthy increase from the parliamentary elections of 2015, when 32.3 per cent of voters took advantage of the early voting period. “Early voting has ended, 36 per cent have voted. We’re headed into the busiest parliamentary elections of the 2000s. I’d consider it likely the voter turnout rises to as high as over 72 per cent,” tweeted Kimmo Grönlund, a professor of political science at Åbo Akademi University in Turku. Jukka Manninen, the research director at Ellun Kanat, similarly pointed out that the early voting period was 12.4 per cent busier than in the previous parliamentary elections. The number of advance votes could even rise marginally once the preliminary data has been reviewed, according to him. Manninen is not as optimistic about the total turnout as Grönlund, however. He reminded that an up-tick in the number of advance votes may not necessarily augur an up-tick in the total turnout, as the share of advance votes has increase steadily election after election. “My guess for the total turnout is still 2.94 million (69.1%),” he stated on Twitter. 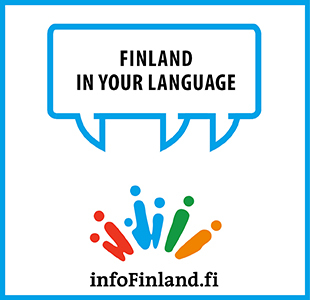 In Helsinki, the share of voters who voted in advance jumped from 30.5 per cent in 2015 to 35 per cent – possibly due to the recent surge in popular support for the Finns Party and the candidacy of its chairperson, Jussi Halla-aho, according to Manninen. “If you want to speculate, yes. The spike and surge in Helsinki may be partly about Halla-aho’s followers heading to polling stations,” he said. Official data on voter turnout will become available after all votes have been recounted on 17 April.